Eye cream and night cream: worth the cost? | Is This Mutton? But about three weeks ago, I noticed the upper eye lid on my left eye was really droopy, like a blood hound! The skin was extremely dry. 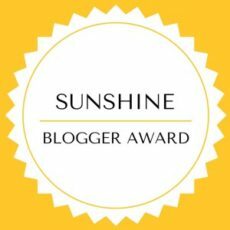 I'd been impressed with the sample of Decléor's Aurabsolu intense glow for eyes and dark circle corrector, which was in their Advent calendar. So I bought the full size product. I have to say, it definitely deserves a place in my key beauty products. The eye lids are no longer creased and are quite smooth, a great finish for eye primer. It lasts all day. The eye cream is a light texture which taps on easily, and is parabens free. I was never a big fan of night cream, although I sometimes go through a phase where, after reading an article, I'll up my game and start using products with fruit acids or retinol, as the experts recommend. But it never lasts because these products seem to strip my skin and cause accelerated ageing. Lately though, my skin has been in need of something extra because my normal serums and oils weren't alleviating the dry, sallow look. 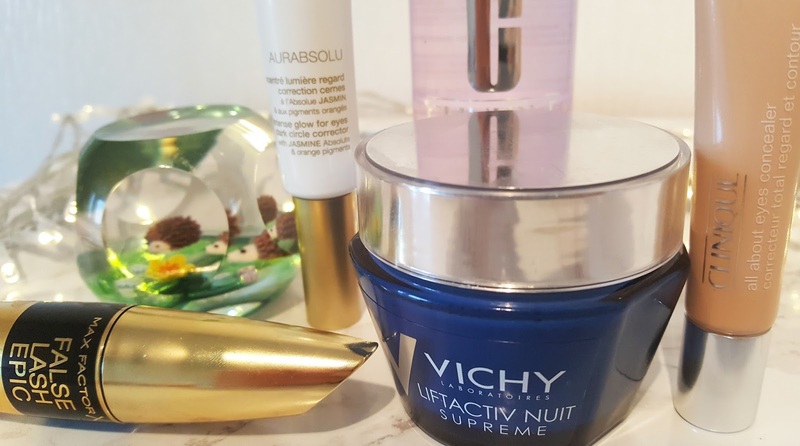 I chose Vichy's Liftactiv Nuit Supreme as I've always had a lot of respect for Vichy products, which you find in Boots and pharmacies. Designed to help with wrinkles and ageing problems, it's a light textured cream with a pleasant, fresh scent, and unlike a lot of night creams doesn't sit heavily or greasily on the skin. In the morning my skin has been firmer and I haven't always needed to load on other products. It's parabens free. A keeper. In addition to the eye and night creams, I've also been trying out a new mascara and concealer. Mascara is the bane of my life. No matter what brand I use, I usually get smudges under my lower eye lashes, sometimes within a couple of hours, sometimes by the end of the day, probably because there's concealer or eye cream causing greasiness in the eye area. Anyway, I am constantly trying different mascaras. In the past I've liked Max Factor's range so I've been using the False Lash Epic in brown/black. I'm not bowled over: it's quite good about not smudging, but the brush, which has what looks like a tiny chimney sweep at the end for applying to tiny inner or outer eye lashes, and a four pronged comb arrangement, loads the product on quite gloopily. Even though I always curl my eyelashes, the curl seemed to disappear quickly with this mascara. You need a bit of knack to avoid the bitty spidery look. In the picture below, I'm wearing the mascara on the left hand eye only. I'm quite pleased with Clinique's All About Eyes concealer, in light neutral. The shade is good for my under eye circles. It blends nicely and does a good cover-up job without resting in creases. The only thing I don't like is trying to stop a large blob coming out of the tube. You only need a tiny dot, applied with either a finger or brush. I find it works well on pigmentation too. Finally, I've been trying Clinique's Take the Day Off Makeup Remover. I like an oil in water formula, which you shake, for eye makeup as it lifts everything off very easily without the need to rub. 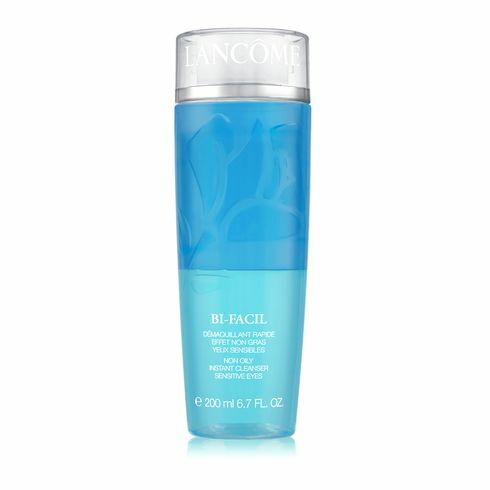 I like this one for lipstick removal but I don't like it as much as Lancome's Bi-Facil Non-Oily Instant Eye Makeup Remover. The Clinique one seems to need a little more effort, and leaves the skin a bit greasy which makes my eyes weep. Not a keeper. Love to hear your thoughts on any of these products, or suggestions for different ones to try. For more Mutton follow my blog on Bloglovin and receive a weekly email telling you about my updates, and like my Facebook page for extra Mutton goodness each day. Thank you for posting Gail. 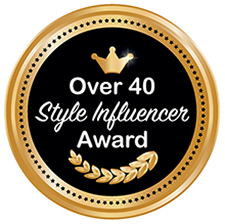 I am always interested in what ladies over 40 like to wear for makeup and skin care. I recently bought a NARS concealer, it is creamy and I put it on with a small brush, love it. I am like you with night cream, and have ben trying a company's serums and am trying a Retin-A product at night. something about heavy creams don't appeal to me. It seems like if you try something and it really works, it becomes your Holy Grail, am I right? This is quite interesting. I live in France and Vichy products are all around me and I've never really cared for them. Hello Vichy, you've got a new friend. The internet, drugstores, and beauty boutiques have been bombarded with a multitude of night creams, each promising to be the new fountain of youth. Very informative. Thanks for sharing such an interesting information.Eye are the most delicate part of our face. To protect them, it's really important to apply something appropriate for eyes.